Triumph recently announced they had entered into a non-equity partnership with Indian motorcycle manufacturers Bajaj to “deliver a range of outstanding mid–capacity motorcycles” but they gave away little else. We spoke to both Triumph and Bajaj to find out just what we can expect from the two brands. “The two organisations have been talking to each at a senior level since 2007,” says Paul Stroud, Chief Commercial Officer at Triumph. “Both organisations felt that the opportunity would help us both grow internationally. However, we’ve only been developing this particular partnership for the last six to nine months. It’s not just new customers in developed markets that Triumph are after either. Compared to our market, the Indian market is going through huge growth and Triumph clearly want a piece of it, hence their deal with an Indian business. The good news for us is that while other markets may be an important part of new model development, Triumph confirmed they plan to sell the new bikes all over the world, including the UK. Triumph also confirmed that we won’t be seeing a return of the 250cc singles that they had previously developed. The so-called Street Single and Daytona 250 were scheduled to enter production in 2015 but were put on indefinite hold. With that in mind the most obvious bike we expect is a water-cooled parallel twin that would compete with the Harley-Davidson Street 750, which is also built in India, and the Yamaha MT-07. In India the bike would clearly compete with the incoming Royal Enfield Continental GT750. 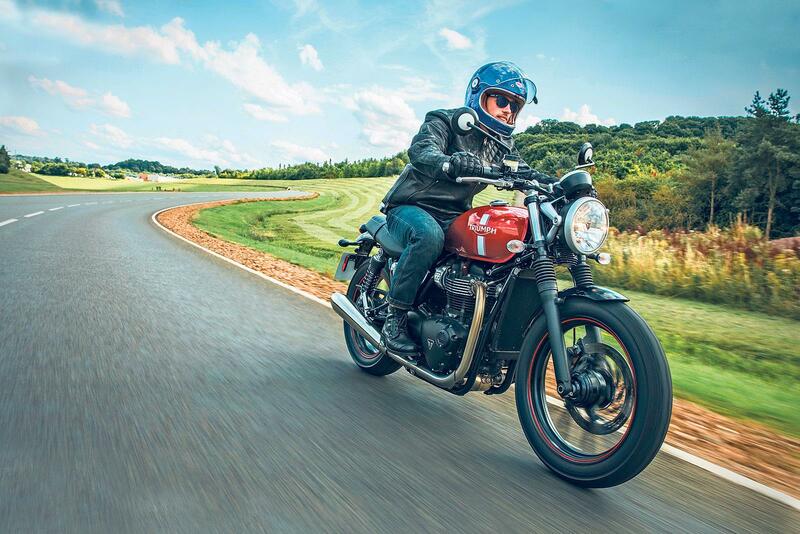 We assume it will act as an entry level into the Modern Classics range, acting as a cheaper alternative to the Street Twin, so we’d expect it to go on sale around £6000, which is £1750 less than the cheapest Street Twin. As to when we can expect the bike, neither Triumph nor Bajaj would commit to a definite date for when the new bikes will go on sale. That said, the sub-800cc market is red hot right now with more bikes due from BMW, Husqvarna and KTM, so they’d better get their skates on.